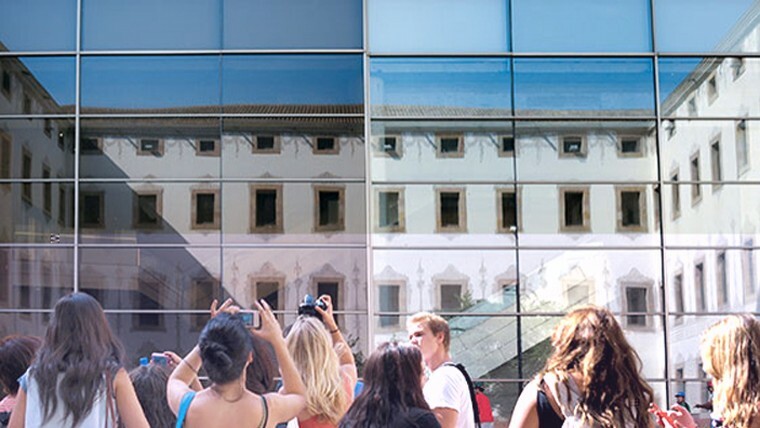 The Centre of Contemporary Culture of Barcelona (CCCB) organizes and produces exhibitions, debates, festivals, concerts, programs film cycles, courses and conferences. The Centre of Contemporary Culture of Barcelona (CCCB) organizes and produces exhibitions, debates, festivals, concerts, programs film cycles, courses, conferences, and encourages creation from new technologies and languages ​​promotes artistic research in areas such as multimedia, backs research into exhibition formats, exports its production to other cultural centers, museums and institutions nationally and internationally, while generating debate, thought and reflection on the city and public space as well as on the issues of today. The CCCB is the product of the partial restoration of the architectural ensemble of the Provincial House of Charity, charity aimed al’hospici old establishment, set in the year 1802 and operated as such until the year 1957. In 1989, the consortium formed by the Province of Barcelona and Barcelona City Council approved the creation of the Centre of Contemporary Culture of Barcelona (CCCB) as part of a rehabilitation project in the Raval neighborhood and its historic buildings with intended d’ubicar there a complex of contemporary culture.